British Columbia's recent move to renew financial incentives for owners of new hybrids and electric vehicles comes as a flurry of plug-ins are expected to hit the Canadian market in the next year. The Clean Energy Vehicles for British Columbia program offers up to $5,000 in rebates toward zero-emissions battery-powered and extended-range electric vehicles, and $6,000 toward fuel-cell vehicles. Cash-for-Clunkers provides a further $3,000 when scrapping a model-year 2000 or older vehicle. Combined with a $250 dealer incentive, a maximum of $8,250 in rebates is available. Ontario and Quebec continue to offer rebates of up to $8,500 and $8,000, respectively. 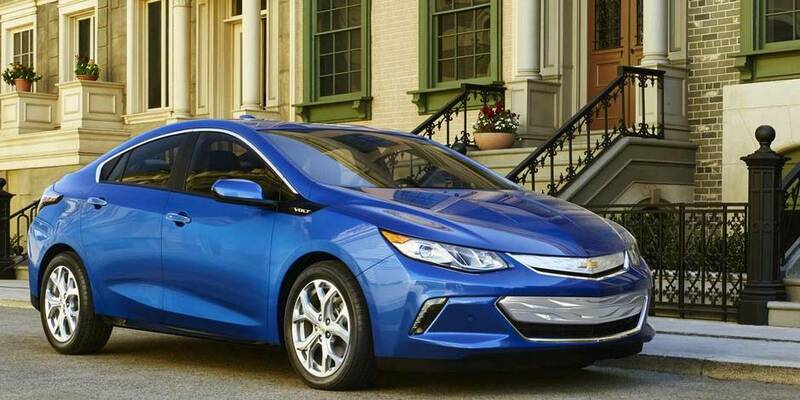 The Volt led sales for all plug-in cars in Canada in 2014. The 2016 model, due in the fall, addresses consumer concerns by boosting all-electric range to 80 kilometres from 61 kilometres, adding a fifth seat, and increasing gasoline efficiency. GM officials have also indicated the current $40,095 MSRP will drop. “The next price of the Volt has to be lower, as we’ve taken about $10,000 of cost out of it,” Mark Reuss, GM vice-president of global product development, said during a media roundtable at the Detroit auto show in January. 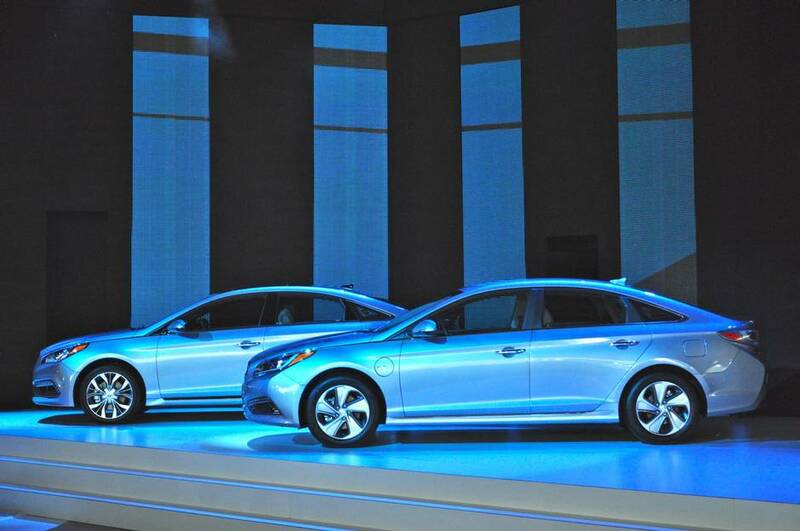 Hyundai’s mid-size Sonata hybrid and Sonata plug-in hybrid electric vehicle (PHEV) are scheduled to be on the Canadian market nationwide this summer. The PHEV promises up to 35 kilometres on electricity. Hyundai sold about 2,000 of the current Sonata hybrids in Canada in 2014, just behind the Toyota Camry hybrid in sales in its class. 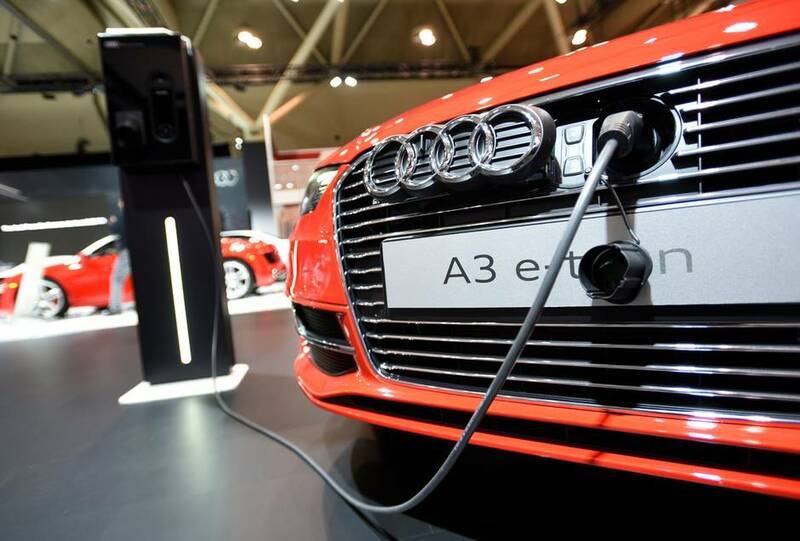 Audi Canada plans to have its delayed A3 e-tron hatchback on sale by the end of 2015, confirmed spokesman Cort Nielsen. It will be the first plug-in Audi model available in Canada, with an electric range up to 50 km. Although Audi has previewed plug-in e-tron versions of the Q7 in both gas and diesel versions, there’s no word yet on when those will come to Canada. 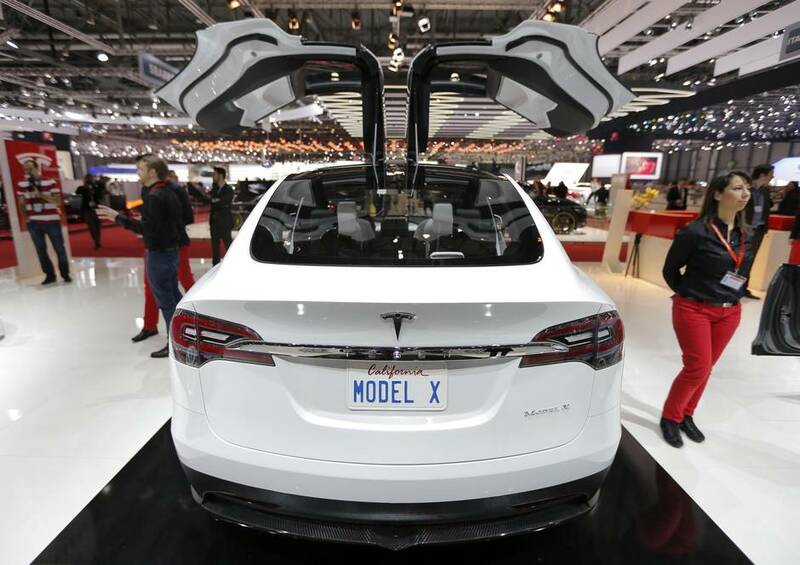 The Tesla Model X all-electric SUV, delayed many times, is slated to arrive by the end of 2015, as well. It’s expected to be priced 10 per cent higher than Tesla’s Model S hatchback, which would put its starting price in the vicinity of $94,000 in Canada. Overall range will be similar to the Model S sedans with the same size batteries, which now vary from 385 kilometres in the new base 70D all-wheel drive model announced last week to 435 kilometres in the 85D, though Tesla has conceded the Model X’s heavier weight will mean slightly less range for its SUV. 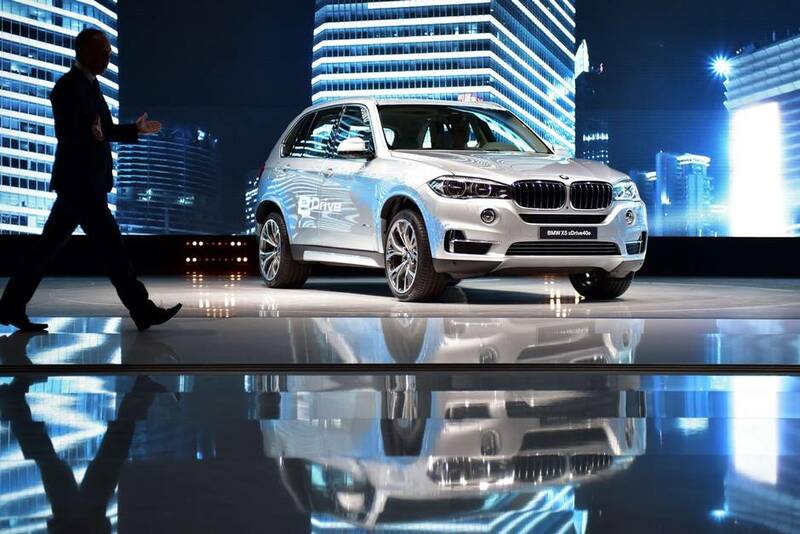 The BMW X5 40e plug-in SUV is expected this summer, powered by a four-cylinder engine along with a 9.0 kWh lithium-ion battery, the electric motor and gas four pot combining up to a total system output of 313 hp and 332 lb-ft of torque. It will offer up to 31 kilometres of all-electric range in (optimistic) European ratings, and promises to travel up to 120 kilometres/hour on silent electric power alone. 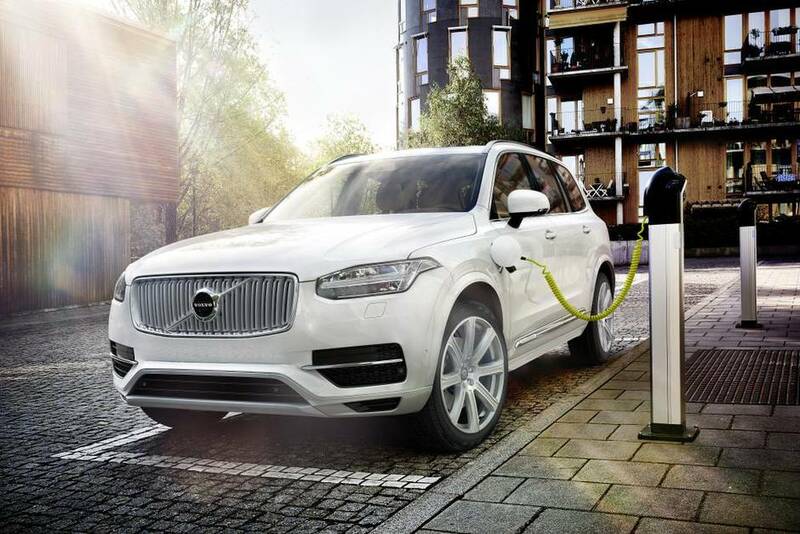 The 2016 Volvo XC90 PHEV will be the first plug-in hybrid seven-seat SUV on the market when it arrives by the end of this calendar year, with promised fuel economy better than any current hybrid. With a 320-hp four-cylinder turbocharged and supercharged 2.0-litre engine, Volvo says the XC90 PHEV will travel up to about 40 kilometres on electricity only, and achieve an amazingly low overall average of 2.7 litres per 100 kilometres – under ideal conditions, of course. The plug-in XC90 T8 PHEV will start at $73,400, versus $65,200 for a similarly equipped gas-only XC 90 T8 R-Design model. Mercedes-Benz says neither the C350 plug-in sedan nor GLE plug-in SUV will be offered in Canada because the system is not yet available with its popular 4MATIC all-wheel drive system.